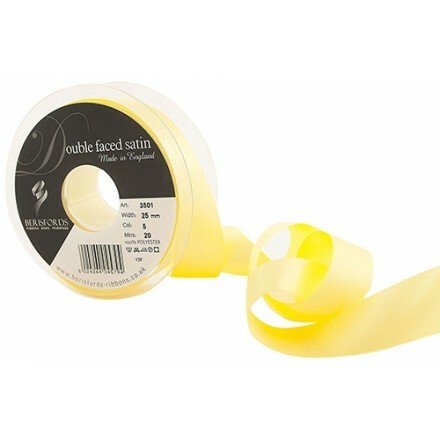 Classic, top quality double faced satin ribbon from a UK manufacturer. Sold in full rolls. 100% polyester yarn, can be machine washed and ironed if required. Please note - shade may vary slightly between batches. 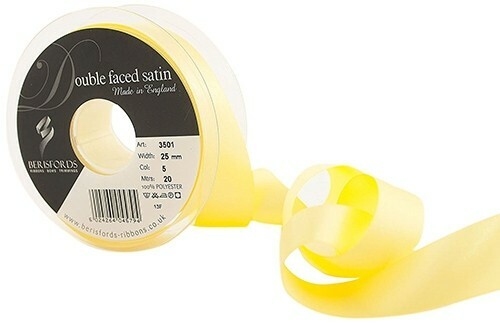 Occasionally a roll may be made up of more than one continuous piece of ribbon. Remember that colour appearance may vary when viewed on different monitors / devices. We are only able to accept returns on unopened rolls with the plastic covering still intact.